My second post for Localwise’s blog went up last week. This one draws a fair bit from my recent visits to urban wineries Urban Legend and Jeff Cohn Cellars, with fellow wine writer Peter Nowack of Bung R. Cooper. 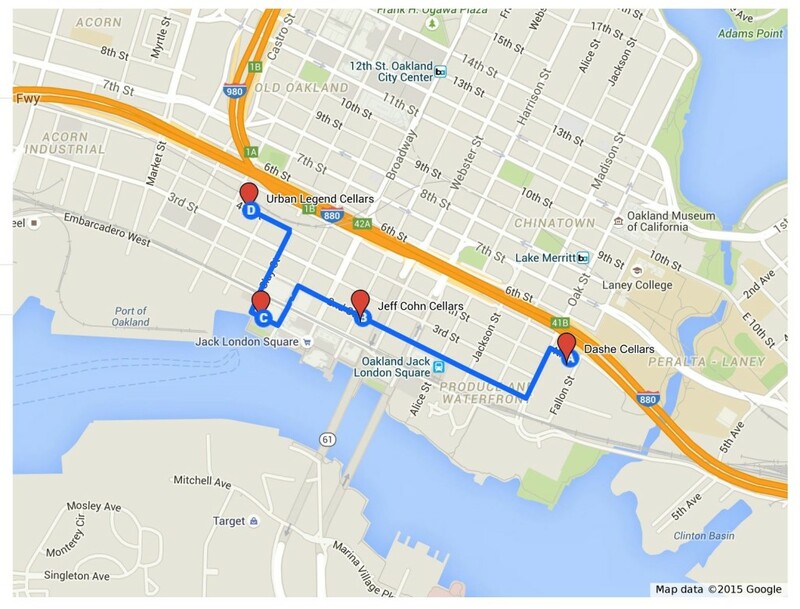 Knowing there were a few other urban wineries in easy walking distance of the Jack London Square neighborhood of Oakland, I came up with this suggested tour. Oakland is known for many things—the most diversity in the USA, being the home of the 2015 NBA champions, Lake Merritt, and much more. Wine is not yet on that list, but I’d argue that it should be. Jack London Square alone boasts four urban wineries and tasting rooms within a mile and a half stretch. For me, that means one thing: Walking Tour! To follow the trail, head on over to the blog post!